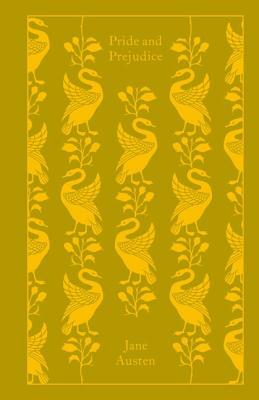 Part of Penguin's beautiful hardback Clothbound Classics series, designed by the award-winning Coralie Bickford-Smith, these delectable and collectible editions are bound in high-quality colourful, tactile cloth with foil stamped into the design. When Elizabeth Bennet first meets eligible bachelor Fitzwilliam Darcy, she thinks him arrogant and conceited; he is indifferent to her good looks and lively mind. When she later discovers that Darcy has involved himself in the troubled relationship between his friend Bingley and her beloved sister Jane, she is determined to dislike him more than ever. In the sparkling comedy of manners that follows, Jane Austen shows the folly of judging by first impressions and superbly evokes the friendships,gossip and snobberies of provincial middle-class life. Jane Austen (1775-1817) was modest about her own genius but is one of English literature's greatest and most admired writers. She is the author of Sense & Sensibility, Pride & Prejudice, Emma, Mansfield Park, Northanger Abbey, and Persuasion. Vivien Jones is a senior lecturer in English at the University of Leeds. Tony Tanner was a Fellow of King's College, Cambridge, and Professor of English and American Literature at the University of Cambridge.